Exploring enchanting Italy and studying in the vivacious university town of Padua in the summer. Cossara Summers is not just an Ontario high school. We offer the whole experience. Studying, traveling, making new friends. Falling in love with Italy's history, art, and fashion. Enjoying the food, the bustling streets, and the Italian culture. We make it all happen! Submit your email to receive updates on our exciting summer program in Italy! Why take a course with Cossara Summers? 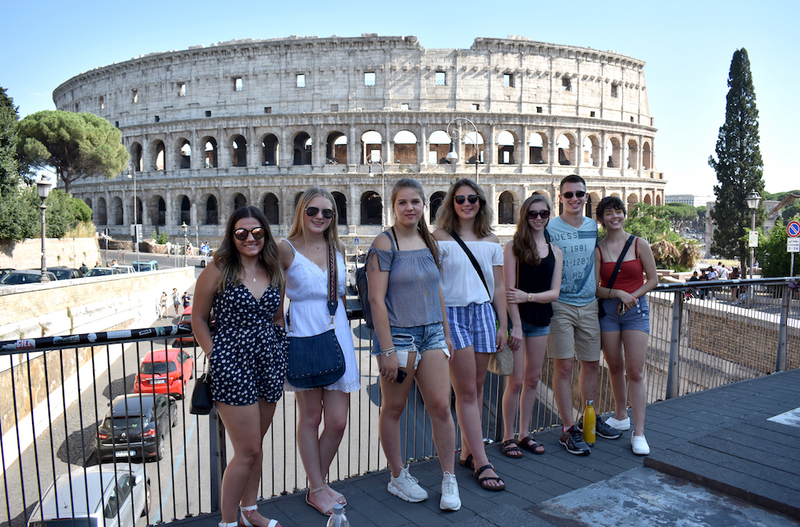 Cossara Summers is the only school that offers core university-bound summer courses over 5 weeks, versus the usual 4 weeks, allowing more time to take in the sights of Italy. All of our teachers are Ontario certified and currently working in the Ontario public school system, with a minimum of 5 years of experience in their subject area. Our classes have 15 students or less, with a ratio of 7:1 students to supervisors. Student safety is our top priority. Which places am I going to visit? Our home base will be the town of Padua. We will also visit Rome, Venice, Florence, Pisa, Bologna and Verona. There are 11 days designated for trips. The students will spend three days in Rome and three days in Florence and Pisa. Between teaching days they will spend one day in each of Venice, Verona, and Bologna, and two days at the beach. What is Padua famous for? Padua is home of the University of Padua, one of Italy’s leading universities. Galileo Galilei taught there for 18 years. The Botanical Garden is one of the oldest gardens of its type in the world. Its anatomic theatre is the oldest in the world. The largest square in Italy, Prato della Valle, is there. 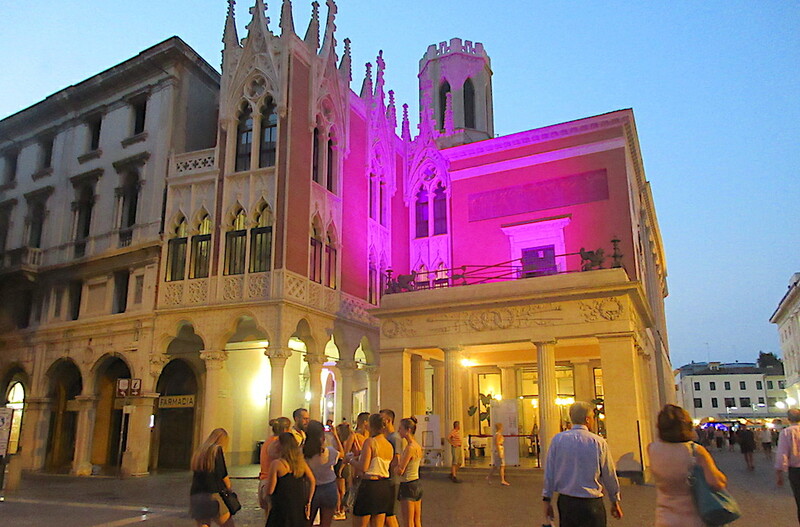 A curious fact: Shakespeare never visited Padua, but his play The Taming of the Shrew is set there. My favourite part of travelling to Italy was spending time in Florence, going to the beach, and studying in the city of Padua. The residence was a close walk to the main square where we visited every night. The people that I met were amazing, and have become great friends. And with all of that, I received my Grade 12 English credit which makes my final year in high school much more manageable. I would recommend this program to any high school student who is willing to work hard and is open to new experiences. Would very much recommend going on this trip. Not only do you get to visit iconic places all across Italy, but you gain a credit. The trip was very well organized and our day trips were spaced out over the four week period which made it more enjoyable. Another perk of this particular program is that it's in a small learning environment. There were only seven students on the trip and we all bonded very well together. Because of this trip I am inspired to travel more and join programs like this. Spending a month in Italy was the best way I could have spent my time, and I’m so thankful and grateful for the incredible moments I got to make with my newfound friends. It was a comfortable and pretty care-free way to finish the grade 12 English course, but I enjoyed the fact that it was also very educational. The small group of people was great because it allowed for a lot of comfort between students, and was a tight and inclusive environment where everyone got to contribute their thoughts, which sometimes isn’t achievable in a class of 30. I’d recommend this trip to anyone and everyone who needs gr 12 English. As somebody who values art, getting to see the detailed and beautiful churches of Venice, Rome, Vatican, Sienna and Padua was a surreal experience, and I treasure all of the amazing trips and tours we got to do. It was an overall fantastic and life-changing experience I’m sure I’ll always remember. My 16 year old daughter loved every part of her time in Italy with Cossara. This program gave her the opportunity to spend a full 4 weeks in Italy where she could truly learn about Italian culture and spend time travelling to major cities, including Rome, Florence, Venice and Verona. It was also a great experience to get her prepared for university, since all of the students stayed in a university dorm, and studied really hard to achieve their credit. Everything was so well organized, and we were able to stay connected all of the time. It was an experience that my daughter will remember fondly for years to come! Spending a month in Italy this summer was such a valuable experience that I will cherish for the rest of my life. Having five weeks instead of four allowed me to complete the Grade 12 English course and visit different parts of Italy at the same time, which was great. 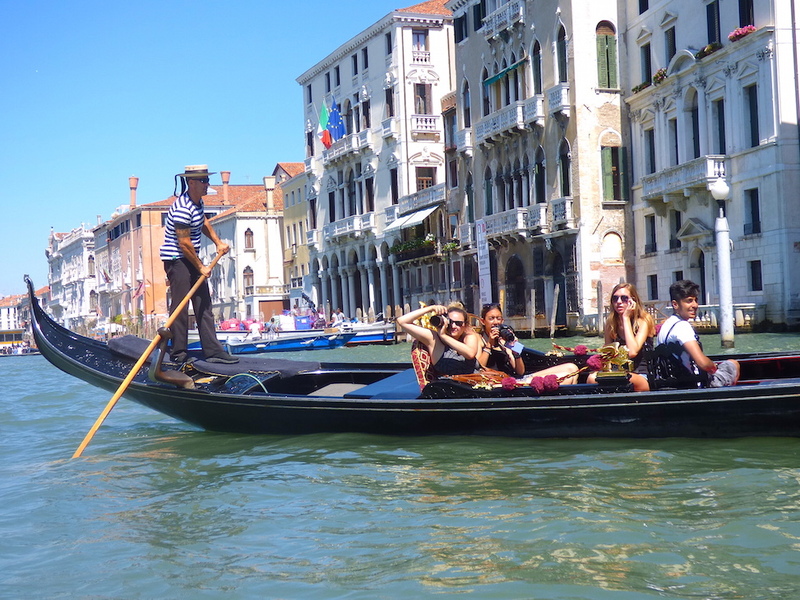 Throughout the summer, I was thinking about how much more enjoyable it is to be in Italy doing summer school with a small group than to be in a large classroom that I am used to in Toronto. Having gotten a credit allows me time during this school year to focus more on my courses, since I have one less to complete. Spending a month with all these amazing people and visiting so many places in Italy was an incredible experience and I am incredibly grateful for it. I have had a great time in Italy, and it was one of the best and most inspiring trip I’ve ever gone on. I didn’t only visit Venice, Rome and many other cities of my dreams, but also learned a lot about photography and photoshopping. These skills are a great help in my day-to-day life as well as my academic life. I also met new people and made new friends, with some of whom I’m still in contact after the trip. The course widened my eyes and taught me more than just photography. It gave me valuable insights into Italian culture, religion, architecture, and history; and I am sure these will benefit me later in my life. The month I spent in Italy was absolutely AMAZING! I love everything in the trip! During the trip, I got to know different photography strategies, photoed the beautiful scenery in Northern Italy and got a credit at the same time. I’m grateful for all the nice people I met on this trip and it is a experience I will value for the rest of my life. It was an outstanding opportunity to travel to Italy in this amazing program. I was able to learn and appreciate every place our group visited in each of the eight cities. We were able to relate things we learned in class to the attractions we saw everywhere. It was beneficial to take the English course while travelling, even better with the small student-to-teacher ratio, it has lighened my course load for high school. This was overall one of the most worthwhile classes I have taken, mainly because it was not just a class, it was an experience. The food was an amazing part of my journey there, and I only wish I could have brought it back home. I've made great friends on this trip, and I continue to reminisce in the beautiful memories that were made there. I enjoyed this course very much. I had the time of my life! I loved traveling to Italy and taking pictures, two of my favourite things. In addition, I liked learning about how to use my camera and its settings and most Photoshop settings. I think that the Italy trip was an amazing experience. Not only was it educational, it was lots of fun. Not many kids my age get to go and see a big chunk of Northern Italy, take pictures and get a credit! I met so many amazing people on this trip. This trip helped me break out of my shell and I got to enjoy a new part of the world. Let me be the first to congratulate Cossara Summers on a fabulous lifetime experience that they offered my daughter this past summer. Not only was she excited about travelling to Italy, she enjoyed learning to capture it all with beautiful pictures and at the end earning a high school credit. As a parent, I couldn't have been happier to hear her on the phone telling me where she was at that time and how much fun she was having. There seemed to be just the right amount of instruction each day so kids learned but had plenty of time to roam and explore the cities that they were visiting. Send your kids ... They will have the time of their lives. Mine did! My daughter loved studying English in Italy! What better way to earn your grade 12 University English course over 5 weeks, instead of the usual 4 weeks. As parents, we loved that the curriculum was customized to the students and that there was a smaller than average class size. The staff were very accommodating and genuinely compassionate to my daughters health situation, making accommodations when and if necessary. From a parents standpoint, this is all we can ask for when placing our children in someone else’s care. After our one on one consultation meeting we felt safe and confident sending our daughter with the school. Our daughter loved the trip and of course would go again. Too bad we didn’t discover this a year earlier, as she could have done the photography course for Grade 11 and then the next year taken grade 12 English. From all the pictures we have seen and stories told, the sites and cities visited were spectacular. Many lifetime memories were made! I just wish, this type of trip was around when I was in High School! I sent my 15 year old daughter to Italy last summer with Cossara Summers and I am so glad I did. She didn't know anyone else going on the trip and we didn't know the teachers so I was a bit anxious. But she had an amazing trip and I am so happy she had the opportunity to have such a great experience. She felt safe at all times, the teachers were attentive and prepared. They knew their way around Italy and made sure the kids saw as much as possible. We have beautiful pictures from the trip! I would recommend sending kids on this trip! My daughter is anxious to go again next year! 2018 © Cossara Summers Inc. All Rights Reserved.